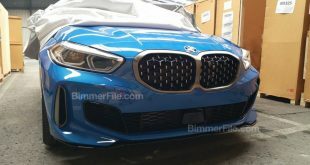 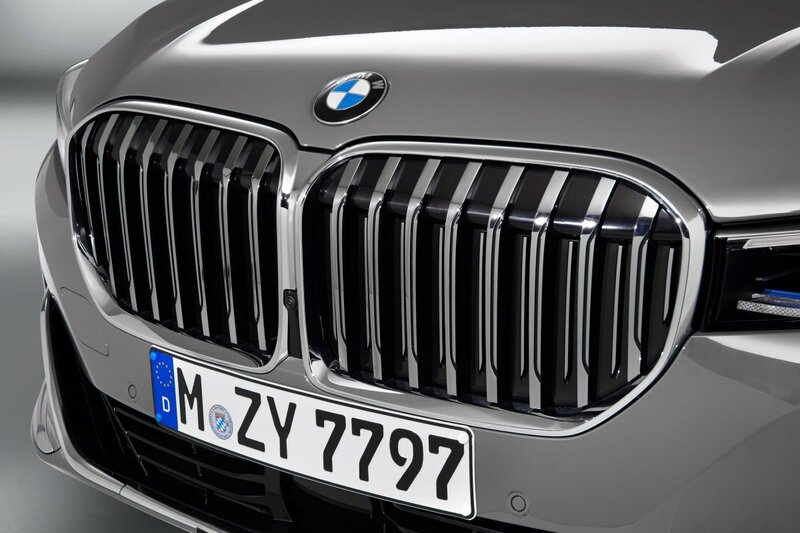 If you think the kidney grille on the BMW X7 is huge, the one on the facelifted 2020 BMW 7 Series is massive! 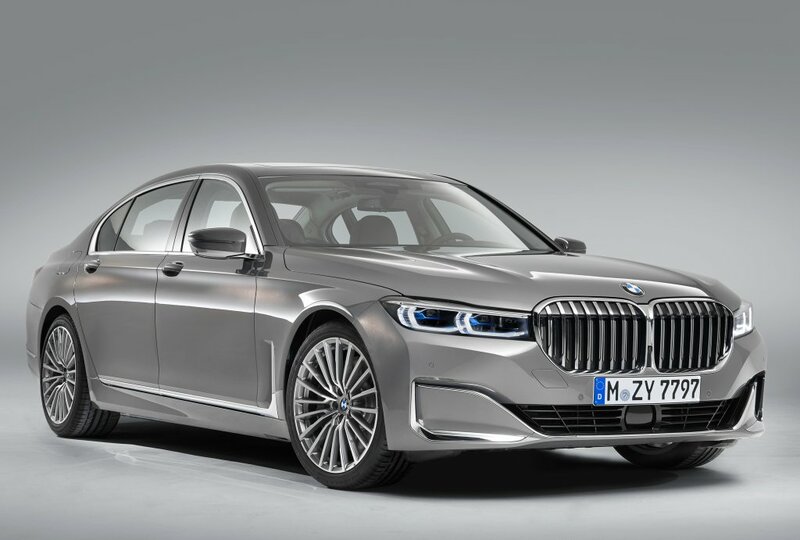 It’s probably smaller than its SUV sibling in actual size but crafted on the 7 Series’ smaller front fascia, it definitely stands out and will no doubt add to the luxury sedan’s road presence. 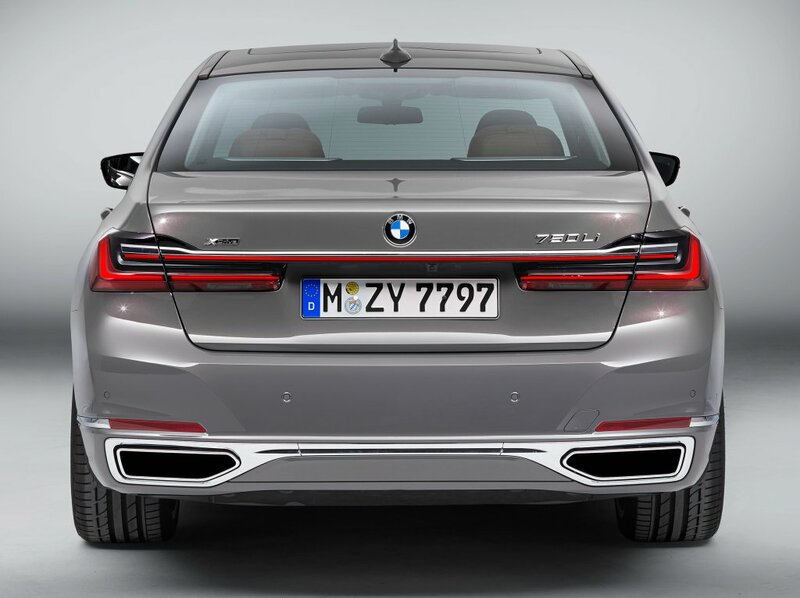 Around the back, the taillights have also been completely restyled, sporting a three-dimensional look with sharper edges, not dissimilar to those on the new 3 Series. Inside, the instrumentation has been completely refurbished, featuring a 12.3-inch digital display that looks almost identical to the one in the 8 Series, while the centre Control Display now measures 10.25-inch. 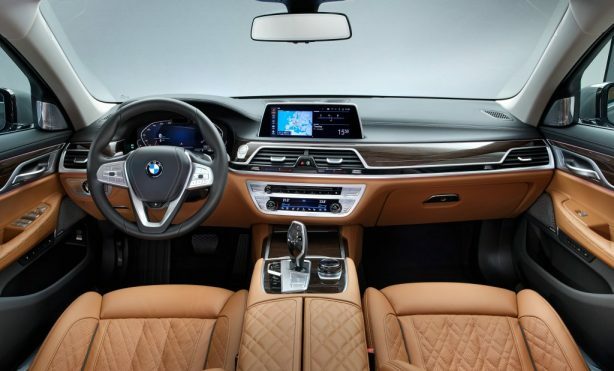 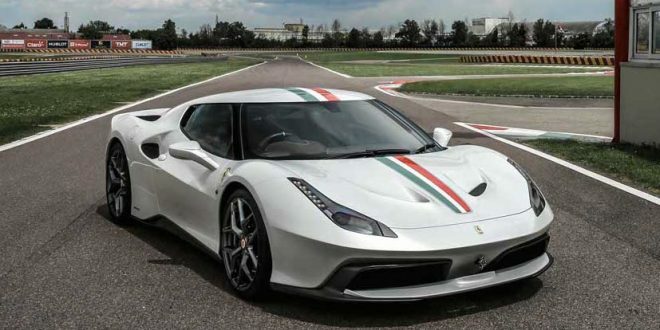 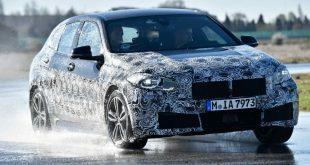 The rest of the dashboard however, appears unchanged although the software behind the scenes have been upgraded to the latest BMW Operating System 7.0. 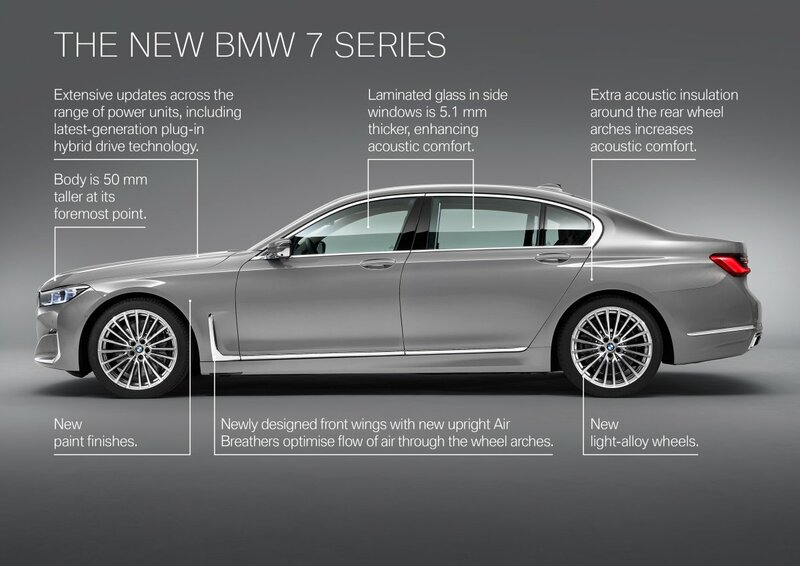 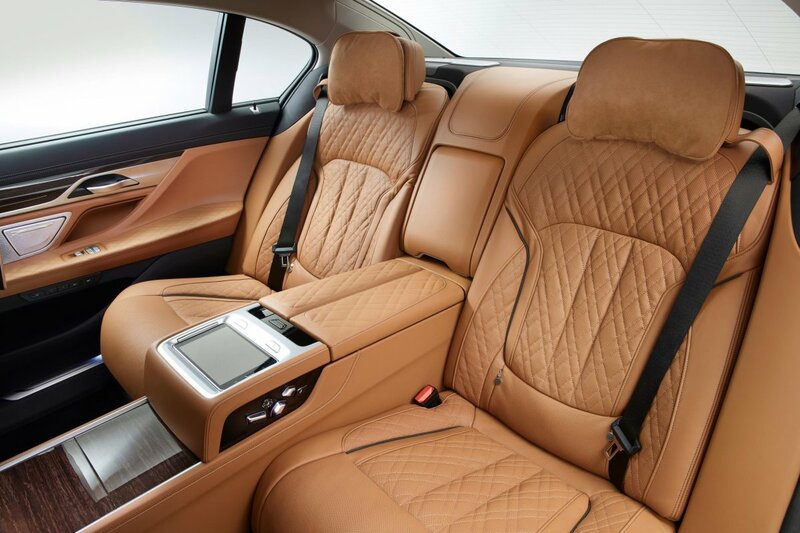 The BMW Intelligent Personal Assistant also makes its debut on the new 7 Series. 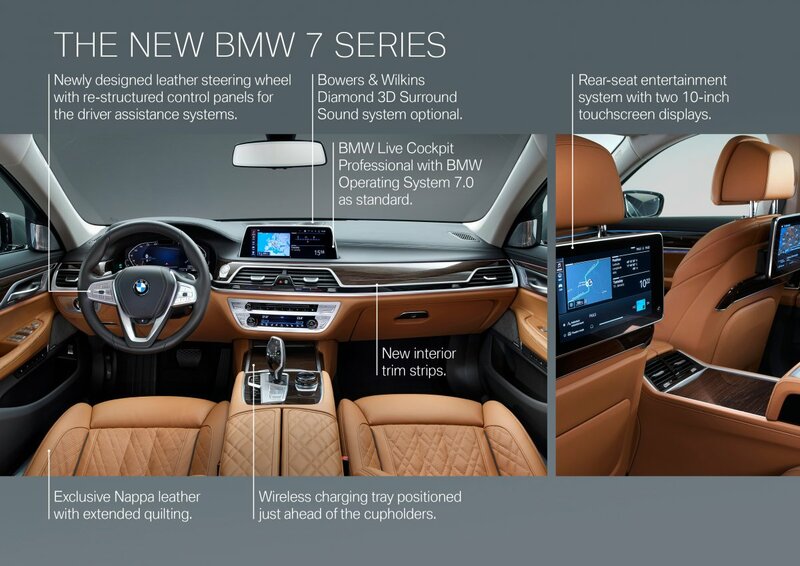 The digital companion can be activated with the spoken prompt “Hey BMW” and helps the driver to use various vehicle functions. 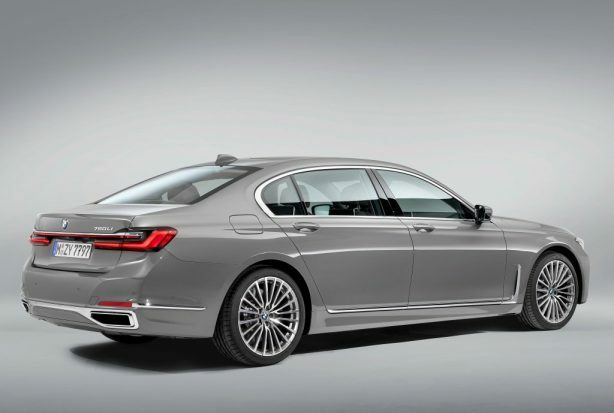 Being the flagship, the 7 Series comes with a comprehensive range of standard and optional driver assistance systems. 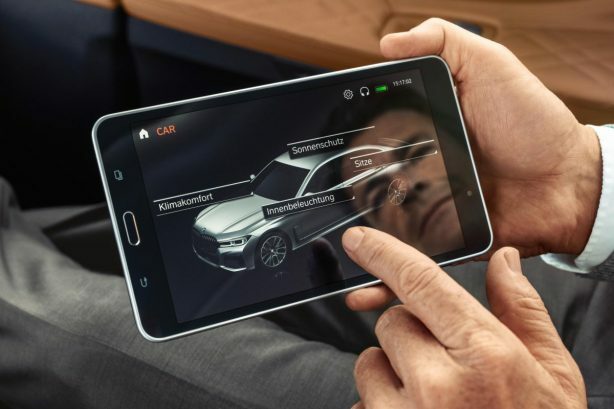 The Driving Assistant Professional provides a comprehensive package of functions aimed at making driving as comfortable and safe as possible. 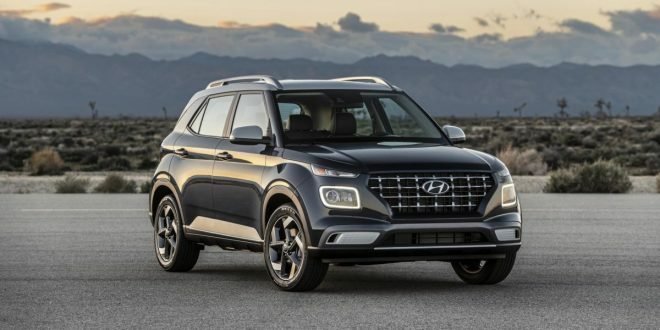 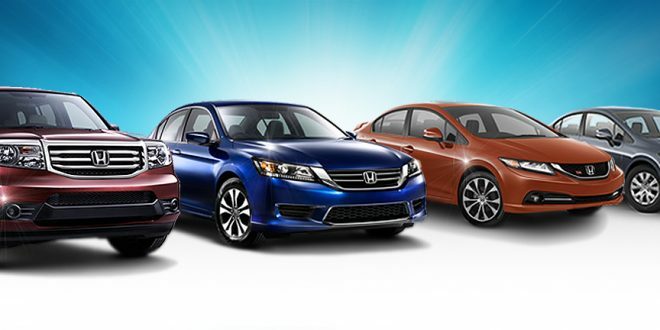 They include the Steering and lane control assistant with Traffic Jam Assist, the Lane Keeping Assistant with active side collision protection, the evasion aid, the Cross Traffic Alert, Priority warning and Wrong-way warning systems, plus Active Cruise Control with Stop & Go function. 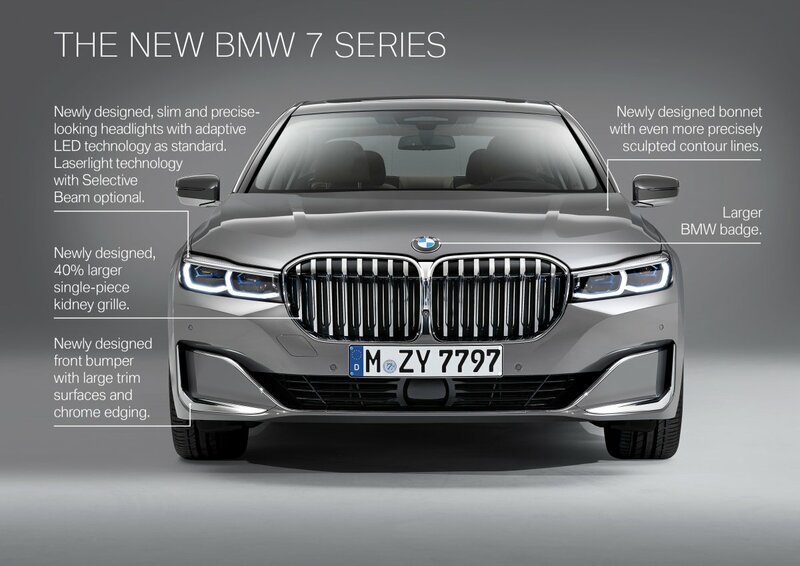 The choice of power units for the new BMW 7 Series includes petrol and diesel engines with six, eight and twelve cylinders, as well as an all-new plug- in hybrid drive system. 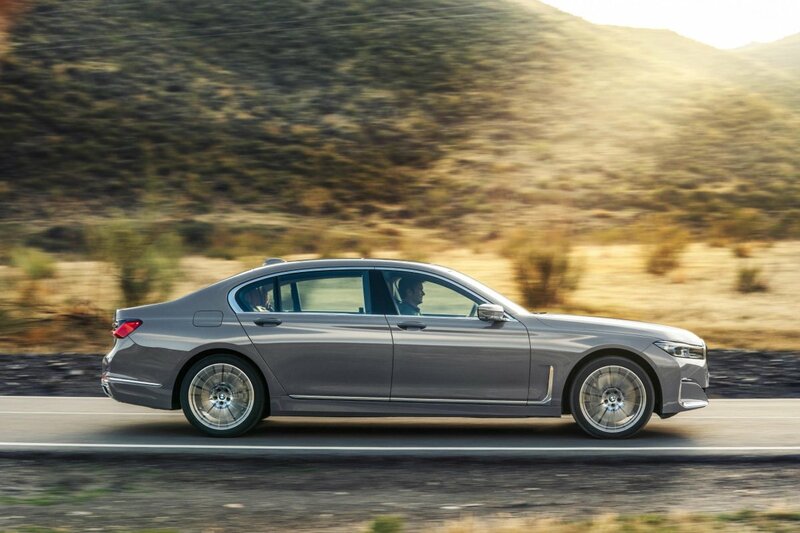 Topping the range is the 6.6-litre V12 engine at the heart of the BMW M760Li xDrive, which produces 430 kW/585 hp (fuel consumption combined: 12.5 – 12.4 l/100 km). 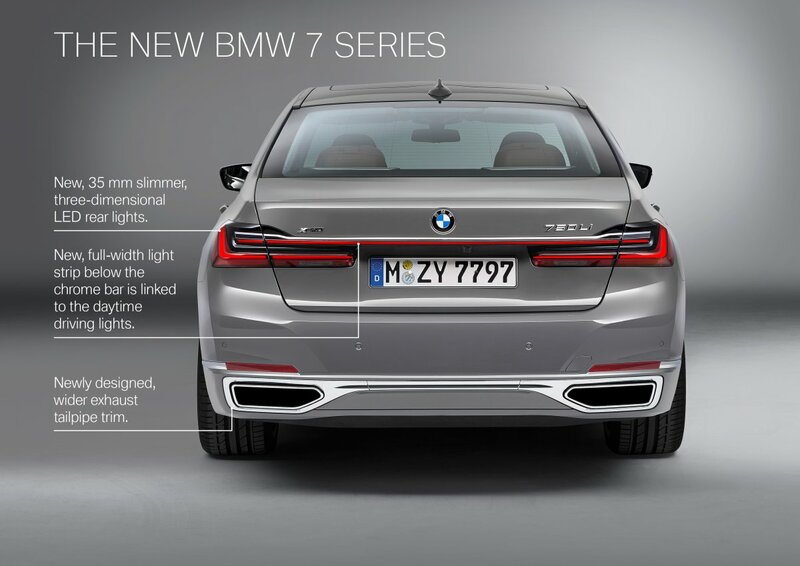 Meanwhile, the BMW 750i xDrive (fuel consumption combined: 9.5 – 9.5 l/100 km) and BMW 750Li xDrive (fuel consumption combined: 9.6 – 9.5 l/100 km) feature a newly developed 4.4-litre twin-turbo V8 engine with maximum output raised by 60 kW/80 hp to 390 kW/530 hp. 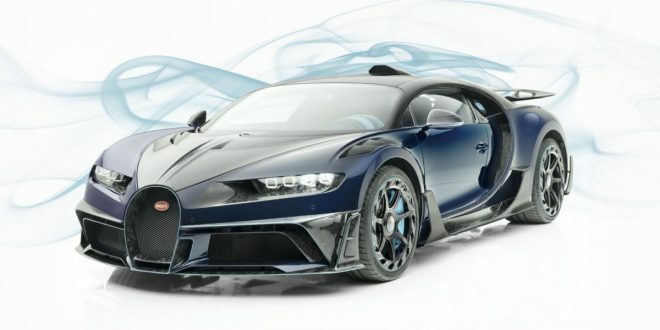 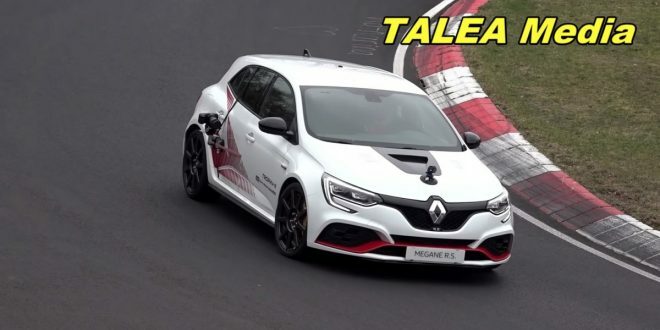 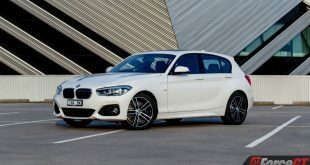 A plug-in hybrid is also on offer, employing a specially adapted six-cylinder in-line petrol engine and a more advanced high-voltage battery. 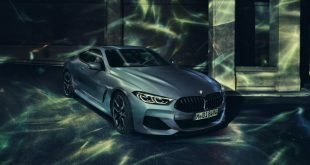 As a result, the system can unleash a combined output of 290 kW/394 hp with the Driving Experience Control switch set to SPORT mode. 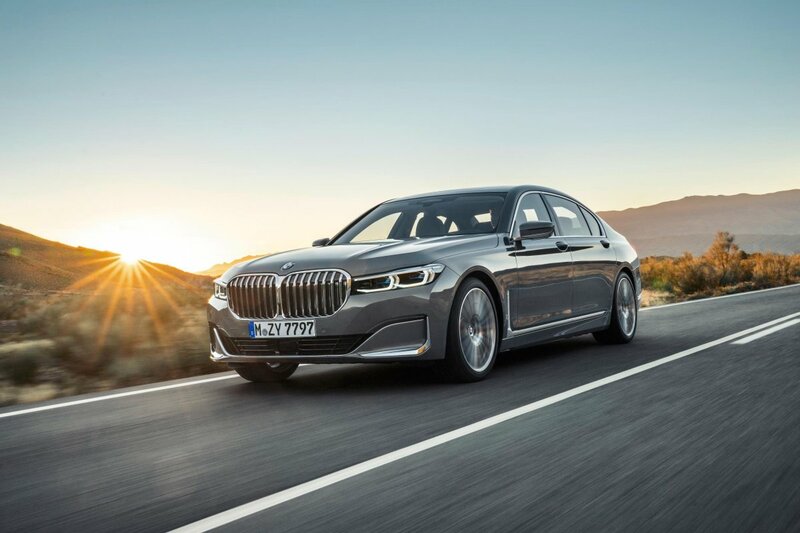 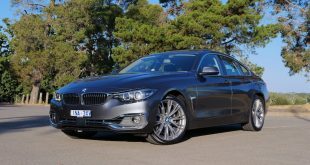 The combined fuel consumption of the BMW 745e, BMW 745Le and BMW 745 Le xDrive is between 2.6 and 2.1 litres per 100 kilometres, with a claimed electric cruising range of 50 and 58 kilometres (31 – 36 miles). 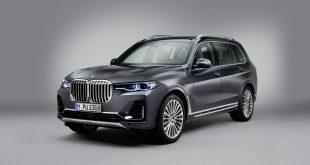 On the diesel front, there are three highly efficient and low-emission six-cylinder in-line diesel engines, each with 3.0-litre displacement and up to four turbochargers. 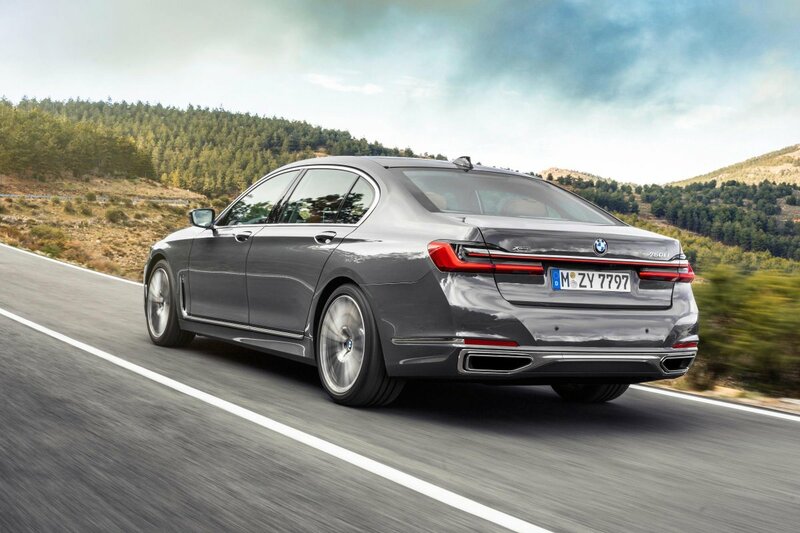 It delivers 294 kW/400 hp engine under the bonnet of the BMW 750d xDrive (fuel consumption combined: 6.0 – 5.8 l/100 km) and BMW 750 Ld xDrive (fuel consumption combined: 6.1 – 5.9 l). The power unit fitted in the BMW 740d xDrive (fuel consumption combined: 6.0 – 5.6 l/100 km) and BMW 740Ld xDrive (fuel consumption combined: 6.0 – 5.7 l/100 km) develops a maximum 235 kW/320 hp. 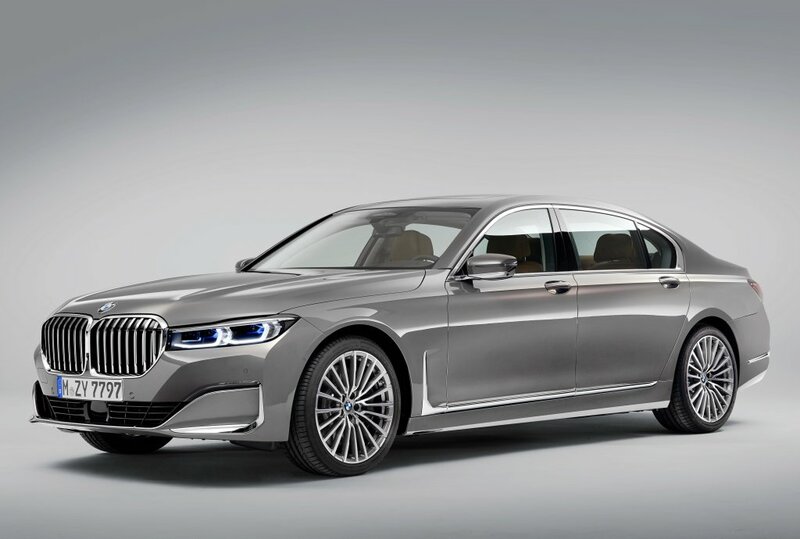 And the 195 kW/265 hp engine for the BMW 730d (fuel consumption combined: 5.5 – 5.3 l/100 km), BMW 730Ld (fuel consumption combined: 5.5 – 5.3 l/100 km), BMW 730d xDrive (fuel consumption combined: 5.7 – 5.5 l/100 km) and BMW 730Ld xDrive (fuel consumption combined: 5.8 – 5.6 l/100 km) represents the first step on the diesel ladder for the new BMW 7 Series. 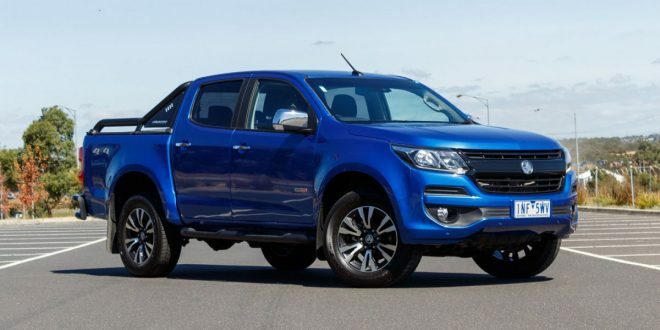 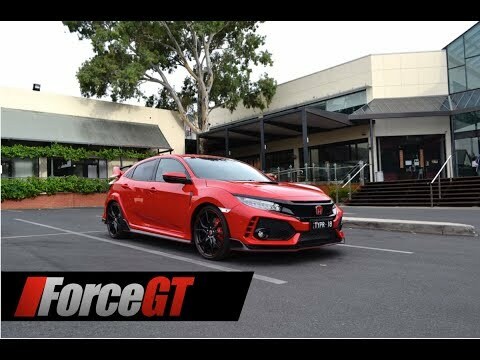 All variants come standard with adaptive suspension including electronically controlled dampers and two-axle air suspension with automatic self-levelling. 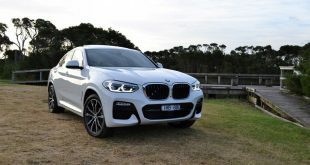 Among the options customers can choose from are Integral Active Steering and the Executive Drive Pro chassis system available for all models except the plug-in hybrid variants. 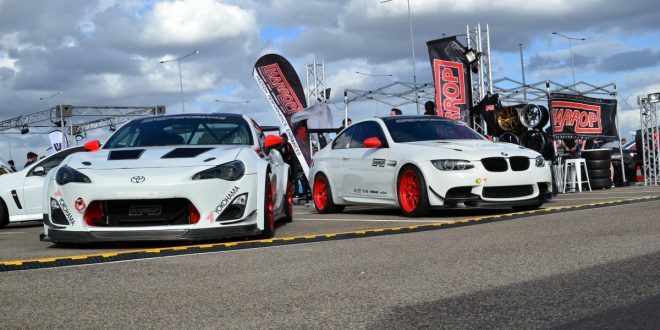 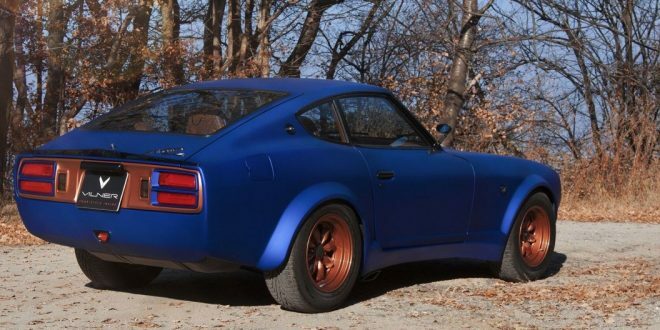 Previous Subaru builds special widebody WRX STI S209 for the U.S.